Accurate risk assessment may be helpful in decreasing cardiovascular events through more appropriate targeting of preventive measures. Traditional risk prediction scores such as the Framingham risk score, the European Systemic Risk Evaluation (SCORE) and the Italian “Progetto Cuore”, have been proven very useful in identifying people at risk for cardiovascular events. However, such risk scores have limitations. Indeed, a large group of men (greater than 55 years of age) and women (greater than 65 years of age) is currently categorized at intermediate risk (10-20%) and consequently does not qualify for the most intensive risk factor intervention. However, many of these people may have features of subclinical atherosclerosis. This issue has been treated extensively in an up-to-date way by Salvatore Novo and his co-workers in a monograph, for the series of “Bentham Monographies”, entitled “Preclinical Atherosclerosis, Global Cardiovascular Risk and Cardiovascular Events” [Editor S. Novo (Palermo, Italy), Co-Editors J. Fareed (Maywood, Illinois, USA), E. Kalodiki (London, UK) and J. Walenga (Maywood, Illinois, USA)]. 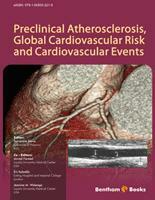 In this manuscript the traditional and emerging cardiovascular risk factors, encompassing the Metabolic Syndrome and its relationship with the subclinical atherosclerosis and cardiovascular events, the conventional office-based risk screening methods and the treatment of patients with subclinical atherosclerosis beyond the cards of risk, have been widely described. Special attention has been paid to an overall review of all the non-invasive diagnostic tools aimed at determining the extent of atherosclerosis in asymptomatic patients and improving cardiovascular risk prediction. Finally, we hope that this monograph will provide the Cardiologist and the Medical General Practitioner with an adequate guide to recognize and classify the real global cardiovascular risk of his/her patient and identify individuals who would benefit from more aggressive primary prevention strategies. Cardiovascular disease (CVD) is the leading cause of morbidity and mortality worldwide and, according to the predictive assessment of the WHO, it could become the first cause of death from 2050. The prevention of major cardio- and cerebrovascular events in asymptomatic subjects remains a serious public health challenge. The underlying pathology is usually atherosclerosis, which develops insidiously over many years and is usually advanced by the time symptoms occur. Data from large prospective studies have facilitated the identification of major atherosclerotic risk factors such as age, gender, smoking, high blood pressure, elevated total and LDL cholesterol levels and low HDL cholesterol concentrations. The fact that risk factors work in synergy to elevate CVD risk has been recognized for decades. However, high-risk individuals have largely been identified based on single risk factors. Since CVD is multifactorial, it is important in healthy individuals to estimate their “global” CV absolute risk. Many groups and organizations have worked to develop approaches to identify high-risk subjects using global risk algorithms. Scoring equations to predict those at an increased risk have been developed using multiple cardiovascular risk factors. Furthermore, currently it is possible to assess more precisely the extension of the disease even at an early stage of the atherosclerotic process. There are a number of measurements of preclinical atherosclerotic organ damage. However, in spite of the evidence of their prognostic relevance they are not widely used in clinical practice. The present monography analyzes the various aspects of the CVD: from its pathology and underlying risk factors to the various tools currently available to stratify the absolute global cardiovascular risk in asymptomatic subjects. Furthermore, it aims at evaluating the role of non-invasive evidence of preclinical atherosclerosis (such as increased carotid intima-media thickness) as a marker of additional risk in improving the cardiovascular stratification.